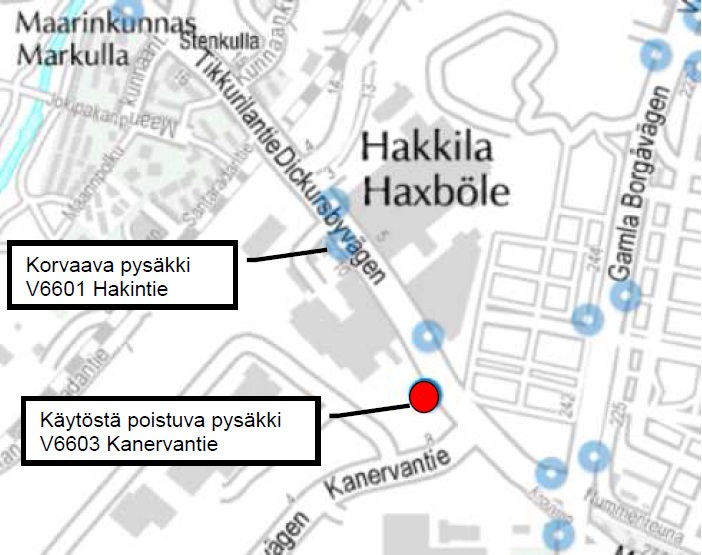 The "Kanervantie" bus stop (V6603) on Tikkurilantie will be closed from Monday 7 August due to construction work. The closest stop is "Hakintie" (V6601). The works are estimated to last until the end of 2017. Once the works are completed, the stop will be reopened on the other side of Kanervantie. The change affects routes 562, 712, 712A, 724 and 724N.